Alt-country sounds, dreamy steel pedal embellishments and "West coast harmonies" (whatever those are) combine for a pleasant listen on Minibar's second release--and its first on Foodchain Records--Fly Below the Radar. 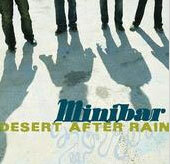 Originally taking shape in Britain, Minibar eventually changed locations and set up shop in Los Angeles. The sounds of Los Angeles' most standard bands definitely make their way into Minibar's craft (whether it's for better or for worse is up to you). The primarily acoustic instrumentation takes on a clean, rootsy, So Cal jam band-ish vibe, providing a lush, tender background for vocalist Simon Petty's harmonies.